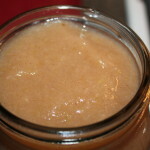 Freezer Applesauce Recipe - No Canning Required! Once you make this freezer applesauce recipe, you will never can applesauce again. 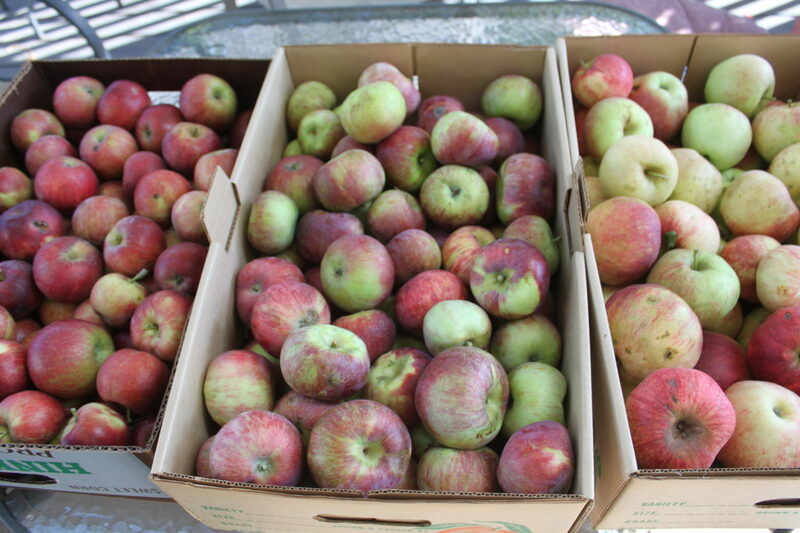 Using ‘seconds’ from a local orchard is a great way to get a large quantity of apples at a discounted price! Ok, that might be an exaggeration, but you have to give this recipe a try! Making homemade applesauce is super easy and sooooo delicious! I really don’t know why more people don’t make their own. The benefits of making your own freezer applesauce is quite obvious – without the worry of canning, you can be in and out of the kitchen in less than an hour. Yes, you will have to have some freezer space available, but this recipe is so good that you and your family will eat it all before you have to worry about filling up your freezer with too many jars. Not only do we eat it as a healthy side dish for breakfast, lunch or dinner, but we also use it in other ways. Have you ever put applesauce over ice cream? How about using it as the substitute for oil in baked goods recipes? And of course, never under-estimate the irresistible taste of when you take the jar of freezer applesauce that hasn’t thawed all the way and scrap your spoon across the top layer for a delicious treat! 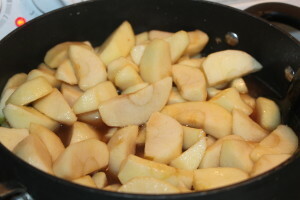 Apples combined with the other ingredients ready to be cooked down. 1. Peel, core and slice your apples into eight wedges. 2. Combine all ingredients in a large pot and cook over medium heat, stirring occasionally, for 20-30 minutes. 3. Carefully puree using an immersion blender or in a food processor or blender until smooth or until desired consistency is achieved. *Complete in batches – do not fill more than half full when processing the hot mixture. Store in the fridge for up to two weeks or in the freezer for up to 6 months. 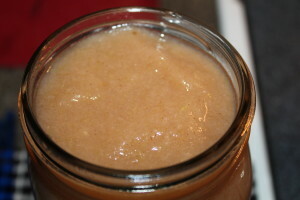 Applesauce stored in a mason jar for ease of serving. 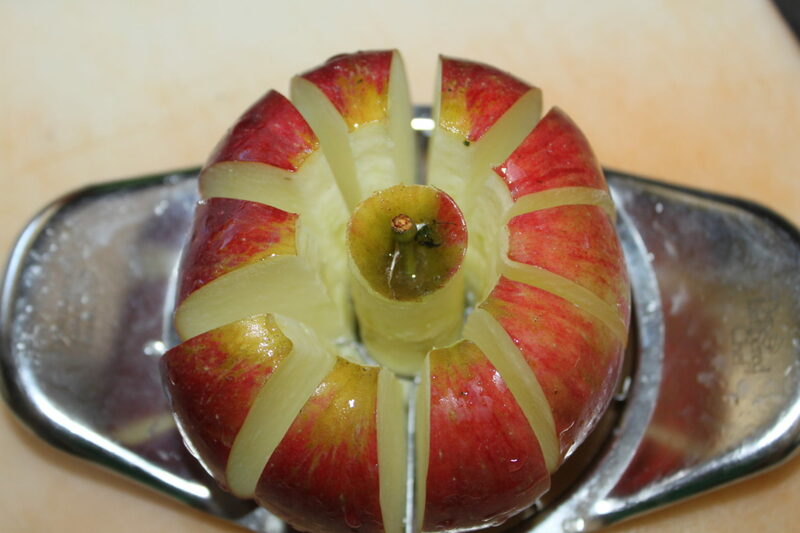 Peel, core and slice your apples into eight wedges. Combine all ingredients in a large pot and cook over medium heat, stirring occasionally, for 20-30 minutes. Carefully puree using an immersion blender or in a food processor or blender until smooth or until desired consistency is achieved. *Complete in batches - do not fill more than half full when processing the hot mixture. oldworldgardenfarms September 13, 2016 September 2, 2018 Apple Recipes, Cooking, Recipes, Sauces Dressing Jams Misc. We use freezer mason jars or you could use plastic containers if you prefer. what kind of containers would be used for freezing method? Thanks for this recipe. 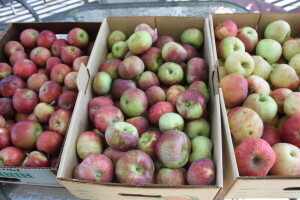 I’m overloaded with apples right now and I’ll do this in addition to canning pie filling.